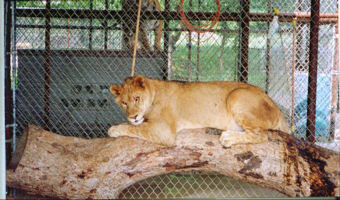 We rescued Malikai and his brother, Dinari, from a dilapidated roadside zoo in 2002. 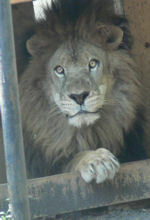 Malikai lived in a crowded cage with 6 other lions which was covered with cloth and offered insufficient shelter. His only toy was a ball that sat inside of an empty rubber water dish.